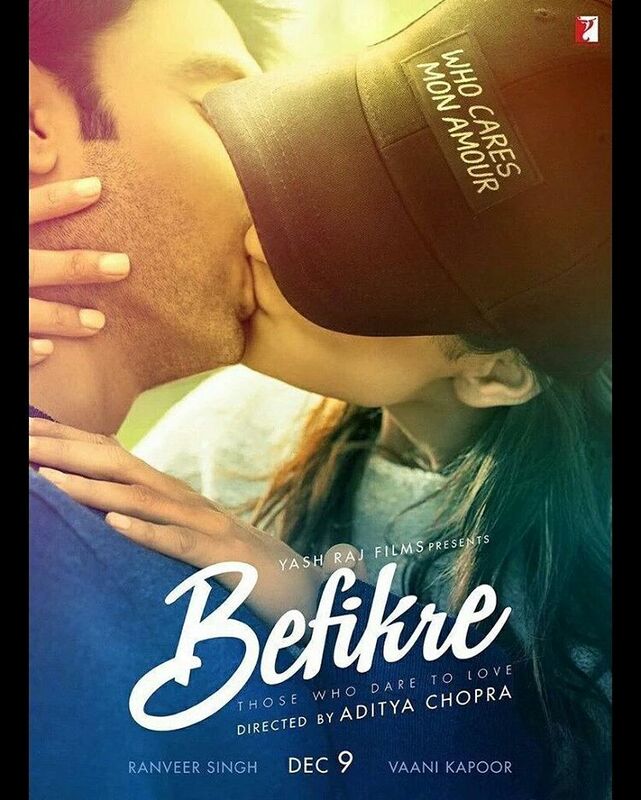 OMG Ranveer Singh and actress Vaani Kapoor lock lips in the first look poster of their upcoming Bollywood film BEFIKRE. Yes here is the first look teaser poster of charming guy Ranveer singh's Befikre alongside his co-star Vaani Kapoor. Aditya Chopra's Befikre will be an romantic love story film which will hit cinemas in continues year later on 9 December. Yash Raj Films out their upcoming movie Befikre first look poster in which you can see lead actor Ranveer Singh & Vaani Kapoor are doing kiss while Vaani wearing the cap who is covering her and Ranveer's eyes via keywords "WHO CARES NON AMOURS". Vaani Kapoor and Ranveer Singh's hot & sizzling lock lips first look revealed for BEFIKRE.